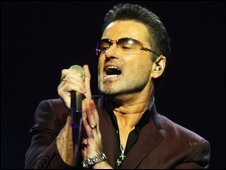 Singer George Michael is to release a festive single for the first time since the 1984 Wham! hit Last Christmas. December Song, which was released as a free download for a limited time on his website last year, will be available to buy on 13 December. Other artists who will be competing for the Christmas number one include the X Factor winner and Robbie Williams. A spokesman for the 46-year-old said December Song had been remastered ahead of its release. It has been reported that Michael will perform the track on ITV1's X Factor. For the past five years, winners of the show have dominated the UK singles chart at Christmas. Last year, Michael announced that he had no plans to tour again and played three "final" shows at the end of October - two in London and one in Copenhagen. The star, who has had hits with songs such as Fast Love, Jesus To A Child and Careless Whisper, has sold more than 100 million records worldwide.